In a random gift of love and affection towards my PC, I jumped onto Steam and perused the list of games that had been Recommended For Me. First one to show up was a little nifty game called The Swapper. Not really knowing anything about the game other than it was a puzzle platformer (gathered from the trailer), I jumped in. 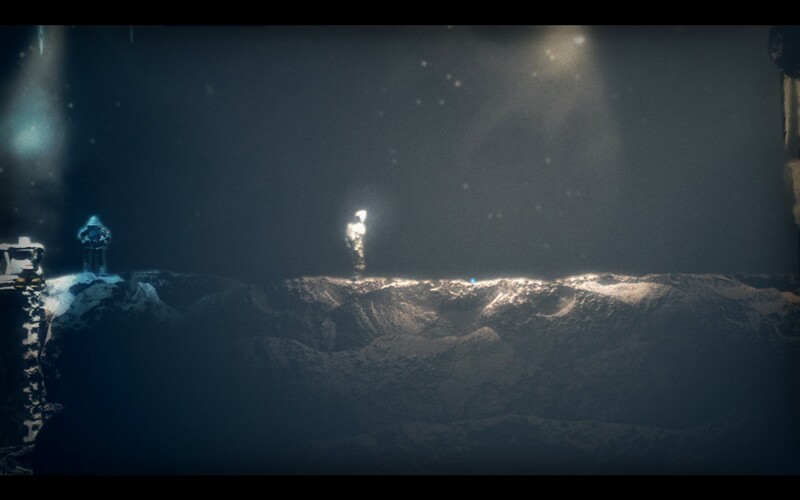 The Swapper is a sci-fi themed space game. You play a scavenger who crash lands on – and is now stranded aboard – a research station that appears abandoned. 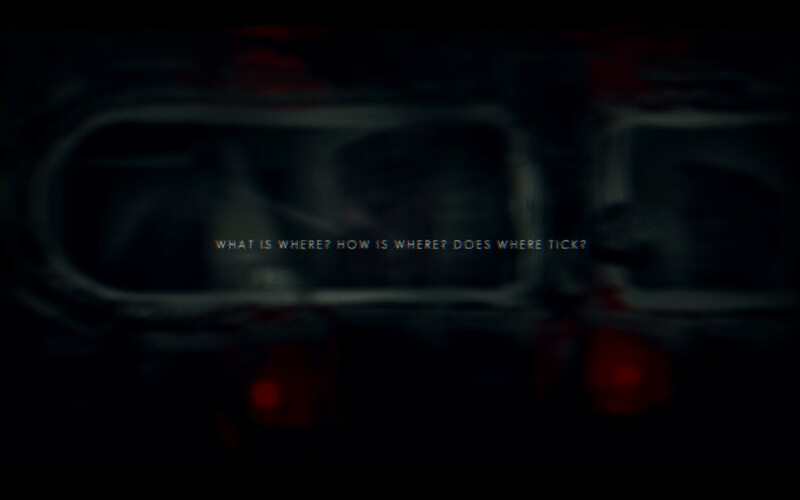 The goal, I suppose, is to find out what’s going on around this space station, and obviously try to escape. As the player, you acquire a hand-held cloning tool which allows you to create up to four simultaneous clones of your character, and grants you the ability to swap your consciousness across each one, as long as they are within sight. Once created, the clones mimic the moves of the player as long as there are no obstacles in their way. The clones can also die from falling from a great height or through general environment hazards. If a clone dies, they’re reclaimed and can be re-spawned. Clones can also be reclaimed by being absorbed by the player. 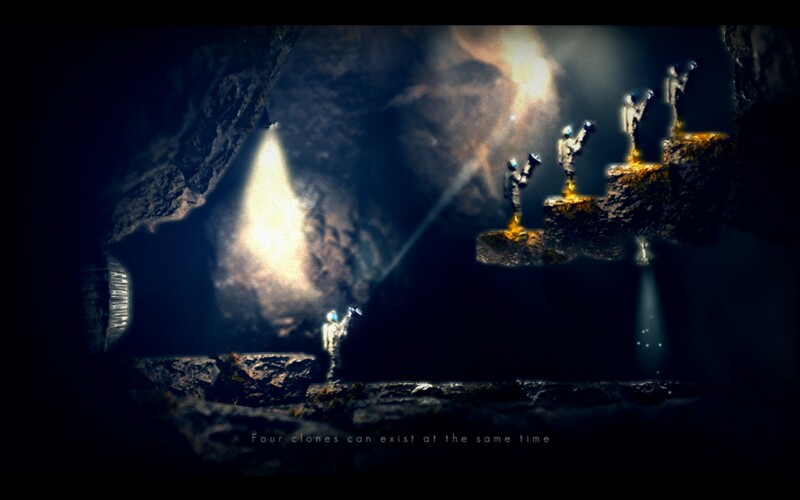 Time also slows down when creating a clone with the Swapper and this game mechanic allows the player to traverse vertical areas. You can shoot a clone up towards the ceiling, and swap your consciousness over, and while the clone is falling in slow-motion, you can then create a 2nd clone to the platform you wish to reach (previously out of the field of view of the original player) and swap again. Some rooms also have certain lights sources to illuminate the area. Blue, Red, and Purple – these lights can either prevent the clones from being created, or will prevent the player from swapping their consciousness to the clone across the room, or both. This is where using multiple clones to activate triggers comes into play. The puzzles themselves are very smart and do require thought and persistence at times. The goal in each area is to acquire the orbs that activate the teleporters which then allow us to activate the next area. As you progress throughout the space station you come across terminals that start to tell the story of the game. Similar to Dead Space, the crew of this station have found space rocks on a nearby planet, and the rocks themselves seem to give off this electro-wave activity, leading the crew to believe that the rocks are somewhat alive or conscious. Once aboard, the rock’s telepathic abilities start to penetrate the minds and dreams of the crew, and without cause or reason, they start to die off, leading the remaining members to believe that the rocks themselves are driving the crew mad. Unfortunately they’ve brought so many aboard they can no longer get rid of them. We actually come across these telepathic rocks throughout the game, unknown are their effects on us, but they do tend to share their disturbing thoughts with us. The game is straight forward in its design, and it looks very pretty, with superb use of bloom effects for lighting and depth of field. The characters actions are limited to walking and jumping, and there are gravity sections that will require the use of the Swapper to boost around. These areas can get very disorientating as the room itself rotates, and not the player. There is also the opportunity to use the occasion physics object to activate triggers or hold up walls. The game’s atmosphere is to be lauded. Its quiet and creepy, deep and loud sounds can make you eager to press on, or have you looking over your shoulder. The score, with piano being the main instrument, tends to reveal the vast emptiness of this space station we’ve found ourselves in. Makes us feel very alone. 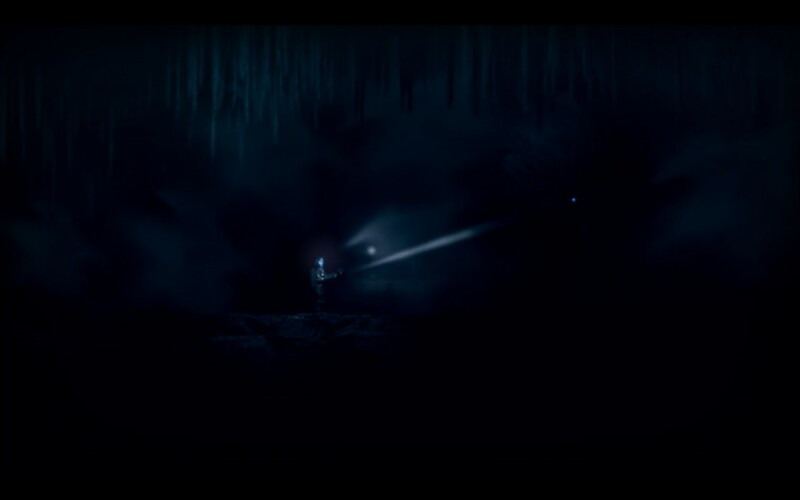 – For those who like platformers, creepy empty space, or watching their clones walk off ledges. This entry was posted in Reviews, What Im Playing and tagged Dead Space, Empty, Facepalm Games, Space, Steam, The Swapper. Bookmark the permalink.